Continuing our review of the National Organization on Disability “Fine Nine” list of companies making the hiring of people with disabilities a priority, today we look at the Sodexo Group, which was included on the list for recruiting people with disabilities to work at 15 sites in the state of New Jersey, according to the Business Management Daily write-up. Chances are high that each and every one of us has had at least one meal prepared by the Sodexo Group at one time or another in our lives. The publicly traded company provides food service at companies, schools, colleges, hospitals, correctional facilities, public arenas, and other sites in 80 countries. Even McDonald’s would be envious of the “50 million consumers served daily” statistic touted on Sodexo’s corporate fact sheet (PDF). Sodexo employs 391,000 people across its divisions, and the company’s multinational employee base requires attention to diversity on a number of levels, including promoting jobs for people with disabilities. In France, where the company was founded about 45 years ago, it signed a compact with the trade unions that advocate for hiring people with disabilities. That 2006 agreement led to recruitment of 252 new employees and 200 interns with disabilities over a three-year span. Sodexo renewed the agreement in 2009. The range of its activities on behalf of people with disabilities varies by country, but the company’s goal is to improve the quality of life for people with disabilities by providing the necessary training and workplace accommodations to ensure job success. Sodexo has several initiatives to inform managers about employing people with disabilities, including in‐house communication tools and training sessions. The Diversity and Inclusion page on Sodexo’s corporate site describes its approach to hiring people with disabilities as a “business imperative,” and lists partnerships, awareness programs, mentoring, and employee networks as the methods for achieving its recruiting and training goals. One such program is the Spirit of Inclusion workshop for personnel managers. To date, some 25,000 managers in 15 countries have attended the one-day session on creating inclusive working environments, according to the ILO report. 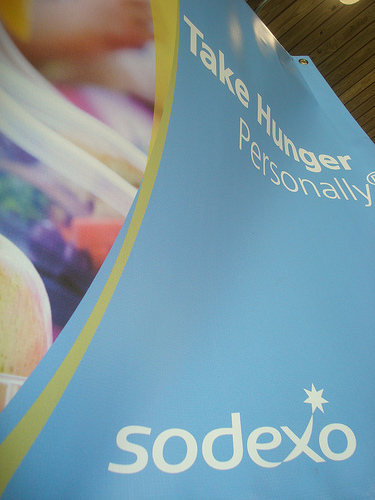 Image by SodexoUSA, used under its Creative Commons license.